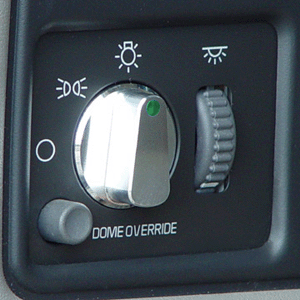 Innovative Bold Styling: UPR's Billet Headlight Knob for your 1999-2004 GMC Chevy Truck SUV H2 Hummer is one of the cleanest billet pieces you can add to your vehicles interior. Acrylic allows for different color illumination which will set your truck apart from everyone else. Quality Construction: CNC Machined from 6061 Billet Aluminum to replace your rear factory plastic Headlight knob. Using the latest in Diamond cut technology, which uses a special diamond cutter on the finishing pass giving you the best looking billet part possible. No one gives you the bold clean styling of our Aftermarket Dress Ups, Suspension and Performance Parts for your American Muscle Car like UPR Products! Installs in 5 minutes or less. Fits these Vehicles: 1999 2000 2001 2002 2003 2004 Chevy GM 1500 2500 Z71 4x4 1999 2000 2001 2002 2003 2004 Chevy GM S10 Blazer 1999 2000 2001 2002 Chevy GM GMC Tahoe Suburban Avalanche 2002 2003 2004 1 ton Fullsize Trucks 2003 2004 2005 H2 Hummer Made in the USA!